A lot of fitness terminology floating out there can be confusing, especially to those new to fitness. In this post, we specifically address what it means to be a “Certified” vs. a “Licensed” instructor in a fitness program. *NOTE: This definition applies only to the fitness industry; the medical field and other industries might define certified vs. licensed differently. CERTIFIED: An exam (written or practical) must be passed before you can say you are certified to teach a specific format. Fitness formats may choose to have a written and/or practical exam. BollyX® is a Certification, as all instructors are required to pass an exam prior to teaching BollyX®. Since BollyX® is a dance format, we chose to have a practical exam vs. a written one. Our exam involves trainees physically dancing with rhythm, visually pre-cueing and demonstrating the wide squat (as if they’re teaching a class) in order to obtain their Certification. Other formats may require trainees to film themselves teaching a full 60-minute class in order to pass. Written exams for kickboxing, Pilates and other dance formats may include questions that require identifying the muscle groups used for specific exercises, the targeted heart rate range and/or musical counts. Once an instructor passes the exam and obtains a Certification to teach, it doesn’t mean the learning is over. A reputable fitness program provides their instructors with continuing education, workshops and resources so they can continue to improve and grow as fitness professionals. Pros: As a Fitness Manager/Owner, you know the instructors you audition have a specific level of qualification since they have passed an exam prior to the audition. As an instructor, you have the confidence in your skill set since you know you have passed an exam. Cons: An instructor might be asked to retake the exam (also known as “resubmit”) and not be able to teach despite having committed the money and time to taking the training. LICENSED: There is no exam involved in a fitness program that provides instructors a license to teach after a training. Once someone registers and attends the training for that specific program, they walk out with a license to teach. While there is no exam required to begin teaching a licensed fitness program, these programs do provide continuing education to their licensed instructors. Pros: An instructor can audition for jobs immediately after the training once the choreography is learned. Cons: As a Fitness Manager/Owner, you need to audition each instructor since there will be a lot of variability from instructor to instructor. 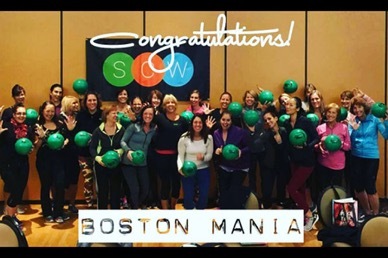 With regards to a group exercise specialty format (vs. a general group exercise Certification), you want to let Group Fitness Managers know whether you are a certified or licensed instructor. This will let them know whether you had to pass an exam or demonstrate specific skills in order to become an instructor. BollyX® chose to be a Certification, instead of a licensure, in order to provide a system of feedback so instructors could learn the skills needed to nail auditions and teach successful classes. Additionally, participants receive a consistent class experience since each instructor had to pass an exam in order to teach. While having to take an exam can be a stressful experience to some, we strongly feel that the learning never stops as a fitness professional, whether you teach a certified or licensed program. As instructors, we lead the way by showing our students that as they grow and improve with each class they take, we grow and improve with each class we teach. If you’re working to be a group fitness instructor and have not yet taken the required exam, or are working on a resubmission, don’t give up! It’s all part of your personal journey of growth. Without feedback, or what seems like a setback, we’ll never know what our true capabilities. 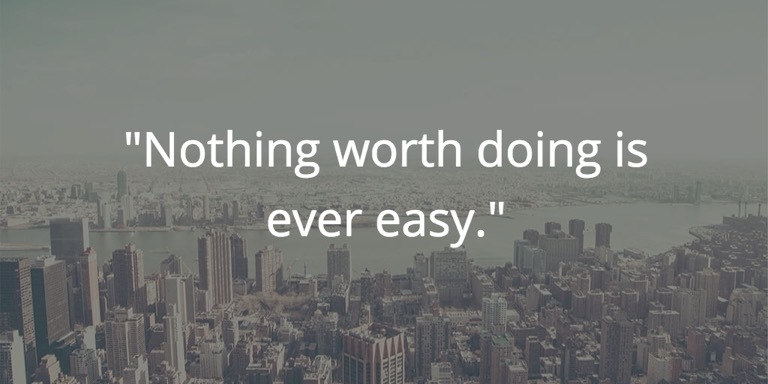 Nothing worth doing is ever easy. The rewards of knowing you worked hard and passed an exam is priceless. Sara Kooperman has just been added to the WIFA Board, and she couldn’t be more honored. Sara is excited about this opportunity and knows that mentoring others is the perfect next chapter for her. We asked Sara what she is hopeful and thankful for when it comes to her career in the fitness industry. What interests you most about being a board member for WIFA? Sara: I wholeheartedly believe in guiding women to navigate their careers through mentorship and industry-association support. I believe WIFA is important because it provides greater opportunities for women of all ages and races to secure professional advancement. It is important to provide an avenue for honest communication, questions and evaluations. The networking abilities that WIFA can provide will allow women to pursue their careers while securing personal and professional advice from leaders of all types. After 35 years in the Fitness Industry, it is my time to give back, and my personal goal is to help others. What leadership qualities do you embody that you plan to contribute to the board of WIFA? I was fortunate enough to be raised in an environment that infused confidence in my abilities, regardless if I was female or male. I also was lucky (or intelligent) enough to marry a man who is supportive of my professional aspirations. I would like to impart this good fortune on to other women. It is important to instill a sense of confidence and achievement into women of all ages and races. Without support structures, I fear the advancement of women will stabilize rather than continue to climb. I’d like to be one of those support structures. How has mentorship benefited you in your career? Having someone willing and able to support me professionally and personally has been a great emotional anchor in my career advancement. Both mentors and friends – whether younger or older, female or male – have provided me the stepping stones to be willing to take chances and make positive choices. They have helped me find faith in myself and set achievable goals. These relationships have resulted in some of my most challenging and rewarding career choices. How do you plan to continue to engage with the community? At the nine MANIA® fitness professional instructor trainings, we attract 90% women. We reach 10,000 in face-to-face contact annually and another 90,000 in virtual reaches. Holding multiple positions, 85% are Group Fitness Instructors, 65% are Personal Trainers and another 30% are Owners, Directors and Managers. These women have full-time and part-time careers in the fitness industry and they need support and guidance on how to balance work, home and health. It has always been my professional and personal goal to help women navigate through this difficult balance. I do a tremendous amount of presenting both at my own events and at other events around the U.S. and internationally. I present for fitness conferences as well as corporate meetings. I write articles and am interviewed in print and video, and I lead frequent webinars. Whether I want it or not, women look to me for leadership. It is a role that I embrace with both my head and my heart. SCW Fitness Education already supports the worthy goals of WIFA, and I would be personally honored to be an active board member or even a sideline contributor. Barre has been big for over a year, and it’s continuing to grow. So why are consumers and even some professionals making the same old assumptions about barre workouts? While many barre workouts include exercises on a ballet bar, and some movements are derived from the choreography that dancers do, barre is inherently different from ballet. 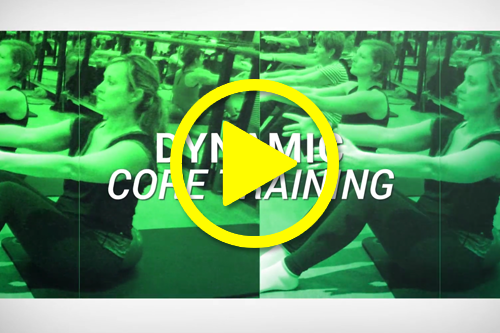 The barre format is a fusion format, blending yoga, Pilates, strength conditioning, aerobics and elements of ballet – so it’s easy to see that barre cannot be categorized into one of these modalities. 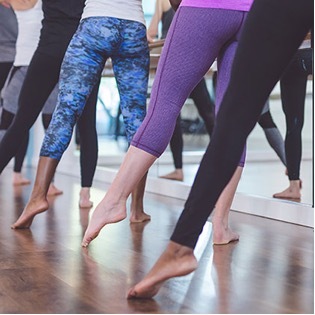 While certain programs may lean toward a particular fusion, and you may take a barre class with one instructor that feels much more “ballet” than another instructor, a true barre workout should be highly focused on all the above fitness formats. And maybe you don’t want to. That’s okay! Many of our students love barre because they can go in, get an effective and efficient workout, and leave without feeling like they need a full shower. It’s considered the perfect “lunch break workout” for a lot of participants. However, a highly effective barre instructor challenges participants and provides a key focus on the warm-up to elevate the heart rate, work in all 3 planes of motion and prepare the body for work. This stereotype is so disappointing! Barre is for all bodies. Instructors and participants alike come in all shapes and sizes, as they should! Fitness levels also vary, and that is why good barre programs offer progressions and regressions for each exercise. These should be cued as different options, rather than “beginner” or “advanced” because those cues are not motivating. No one wants to be put in the “beginner” category! We need to start thinking about the 80% of consumers … not just the 10% who are already fitness enthusiasts. Our classes should be inclusive and appear welcoming to all types of participants, from those who already take barre classes to those coming to the health club for the very first time. While we’re on our way as an industry to discredit many of the myths consumers have about barre workouts, it is our duty as professionals to always be truthful, honest and inclusive so all our participants can enjoy the amazing benefits that barre provides. Barre Above® is the fastest growing barre program in the U.S. As a results-driven barre certification program, Barre Above® fuses the best of Pilates, yoga, ballet, aerobics and strength conditioning to create a totally dynamic, full-body workout that allows newcomers to feel successful while challenging seasoned participants to progress. With both freestyle and pre-choreographed options, Barre Above® is the perfect fit for any instructor’s teaching style. To learn more about Barre Above® and how to get certified, visit www.BarreAbove.com. While genes can be powerful determinants of our fate, food and lifestyle play an underappreciated role in our wellness destiny. At the root of nearly all diseases, including eczema, allergies, irritable bowel disease, cancer, Alzheimer’s, diabetes and obesity, is the double-edged sword we rely on for our survival: inflammation. Inflammation is a useful biological response to infection and disease, but like a fire gone wild, chronic, unwanted inflammation can make us sick. The modern Western diet, lifestyle and environmental factors contribute to this pro-inflammatory storm. Fortunately, nature has provided us with powerful, inflammation-fighting ingredients, which are delicious to boot! While everyone rightfully reaches for turmeric, that’s not where the inflammation-busting story ends. Packed with aroma, flavor and beneficial compounds, these spices battle unwanted inflammation and elevate our food in exciting ways. Moreover, they expand the taste buds of our kids and boost their health. 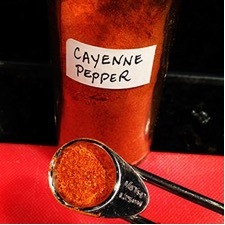 A recent study in mice fed a high-fat diet showed that capsaicin, found in cayenne pepper, lowers inflammation. Fascinatingly, it does so by altering the composition of gut bacteria to more beneficial strains. This, in turn, lowers inflammation-associated obesity! Other studies have shown that people who consume more chili pepper have a 13% reduction in mortality, probably linked to capsaicin’s anti-inflammatory effects. Kids are generally not fans of cayenne, so milder paprika, which contains a smaller amount of capsaicin, is a reasonable alternative. Good ol’ cinnamon blocks the activity of inflammation-promoting molecules, arachidonic acid and TNF-alpha. 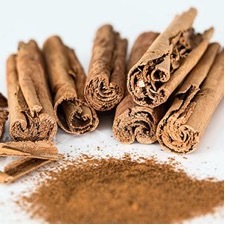 The widely available Cassia cinnamon contains large quantities of coumarin, a liver toxin. It’s worth going the extra mile to find Ceylon cinnamon, with negligible coumarin, to reap the anti-inflammatory benefits without toxic side effects. 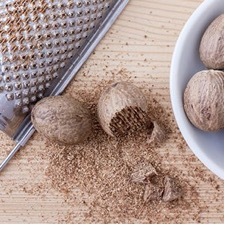 Not to be reserved just for the holiday season, nutmeg fights inflammation by blocking nitric oxide synthesis. Nutmeg oil can alleviate inflammation and pain by blocking the production of COX-2, also the target of ibuprofen! A small human trial did not reproduce this effect, however, so larger studies are necessary. Importantly, nutmeg, at high doses, can cause hallucinations and be toxic in pregnancy. Similarly, infants should not be offered nutmeg teas, an ancient remedy for digestive discomfort, because of toxic effects at high concentrations. This sour, delectable spice, used in Middle Eastern cuisine, has been shown to block multiple arms of inflammation, including inflammation-promoting molecules called cytokines, like TNF-alpha, IL-6 and IL-8. 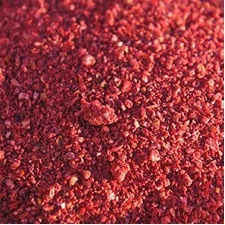 Sumac appears to have this effect by blocking catalysts of inflammation, such as NF-kappa B, STAT-3 and nitric oxide. Sumac is also a powerful antioxidant, cleaning up free radicals that are formed during various cellular functions, and in the presence of high levels of inflammation. Yes, the humble peppercorn, that we often take for granted, has inflammation-busting powers! 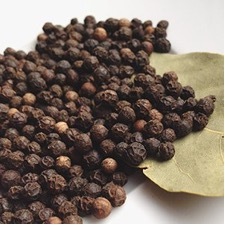 Piperine in pepper inhibits the central inflammation regulator, NF-kB. In the same vein, piperine exerts anti-inflammatory effects in irritable bowel disease, ulcerative colitis and Helicobacter pylori-induced gastric ulcers. Moreover, piperine boosts the bioavailability of turmeric, an anti-inflammatory superhero, making this spice duo exactly what the doctor ordered. Recipe idea: Add a pinch of pepper (preferably freshly ground) to almost any recipe to boost flavor — and nutrition! I hope this will inspire you to cook with all of these spices regularly in your kitchens, including for your kids! You know we love to experiment in the kitchen, and we want to share one of our favorite techniques: pickling! Pickled vegetables are staples in our refrigerators; onions, hardboiled eggs, beets – you name it, you can pickle it! Recently, we experimented with pickled asparagus and fell in love with the kick the vinegar and spice mixture adds to an already flavorful vegetable. Here’s our pickled asparagus recipe, plus an extra one to spice up your Sunday brunch cocktail! Now, you might be wondering what the heck you’re supposed to do with Pickled Asparagus. Well, the answer is ANYTHING! Pickling is so easy and adds a really good, tangy, spicy flavor to any vegetable. You can pickle any leftover veggies in your kitchen, extending their shelf life and giving you new and fun ways to use them in your dishes. Also, a couple pickled asparagus spears are a great post-workout snack. Studies show that pickle juice helps to quickly replenish electrolytes, alleviate muscle cramping and re-hydrate after a sweaty workout (or POUND® sesh!). Our favorite ways to use pickled veggies are in salads, on charcuterie plates at parties and … (drumroll please!) … in a Bloody Mary at Sunday Brunch! Guys, we’re not kidding, this is probably our favorite drink concoction to date! Grab our Bloody Mary recipe below and try it out. Show us your pics using #balancedeats! Learn more about POUND® at www.poundfit.com.